Chase Jarvis Studio Party, Seattle. Sept 2009. Chase Jarvis is a legend in commercial photography and social network marketing, and I just had the chance to meet him with a beer in hand. 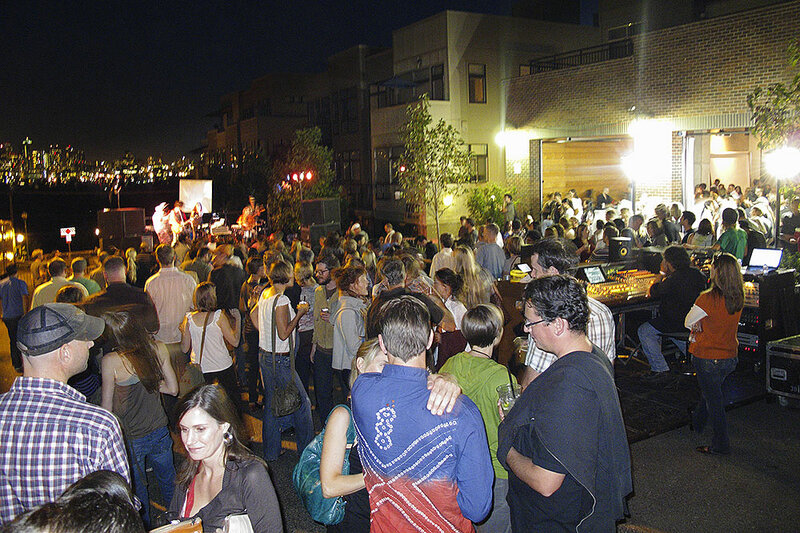 It’s not surprising then that Chase throws a Seattle street party with three bands (some you’ll know), feeds and waters the hundreds of guests in his studio and street outside, all the while trying to keep the party secret from the thousands of fans that follow him. I was travelling back from the Arctic to NZ, staying with friends, Angela Nelson and Andrew van Leeuwen, in the coffee city by chance when I was given an invite. Some said it was to be the party of the year and Chase didn’t disappoint. 42 Below Vodka that lined the racks, a lot due to the band “The Presidents of the United States of America” with their energetic display, and mostly to the open social style of Chase Jarvis, we all had a top night. Chase and his wife Kate had just flown in from a film shoot in New Zealand, and it was great to talk about his love for our place. A carefully managed social networking strategy using twitter, facebook, youtube and blogging etc has seen him gain a worldwide following. Check out his work, both with the camera and his blog – very inspiring. 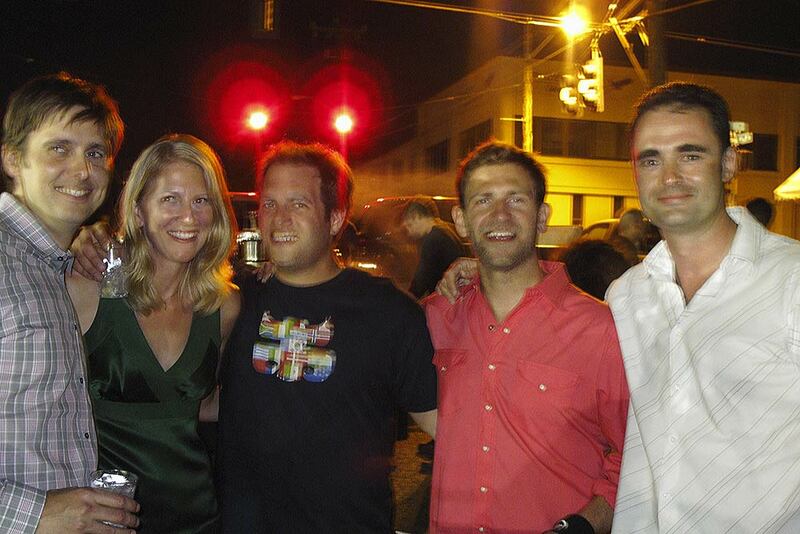 Andrew van Leeuwen, Angela Nelson, Alex Hillinger, Chase Jarvis, Rob Suisted. 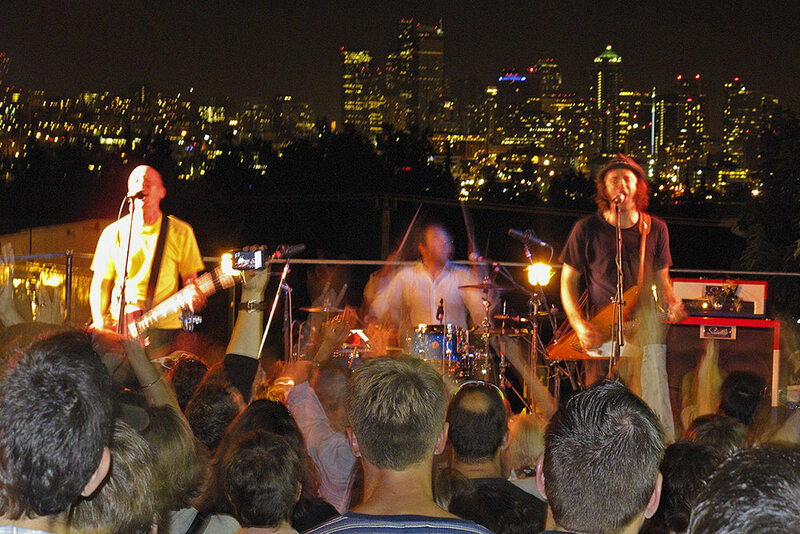 The Presidents of the United States of America in full swing, with Seattle behind. You're reading Sleepless in Seattle – Chase Jarvis Party at Nature’s Pic Images Blog.